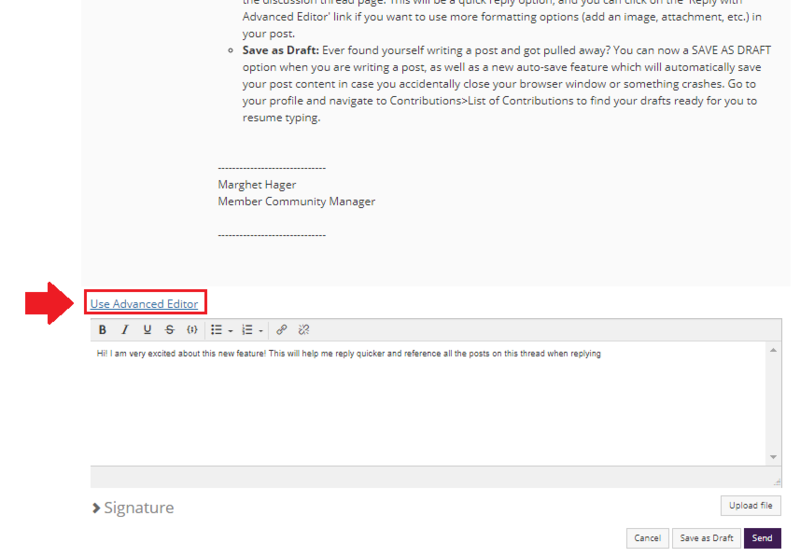 We are excited to announce three new community features on the www.navug.com websites: new reply notifications, inline replies, and save a post as a draft. Participants will now receive a real-time email notification when there is a new reply on a discussion thread that you started or when there is a new post to which you’ve replied. You will see a star icon next to the title of the post that will be automatically filled in when you create or participate in a discussion. When the star is filled in, that means you will receive email notifications. Interested in following getting a notification on a thread that you did not create nor have a reason to reply yet? Simply click on the star icon to ‘favorite’ that thread to get real-time post updates on that discussion, and you can deselect it to stop getting notifications on new posts to on that thread. Not interested in getting ANY real-time notifications when a post is updated? 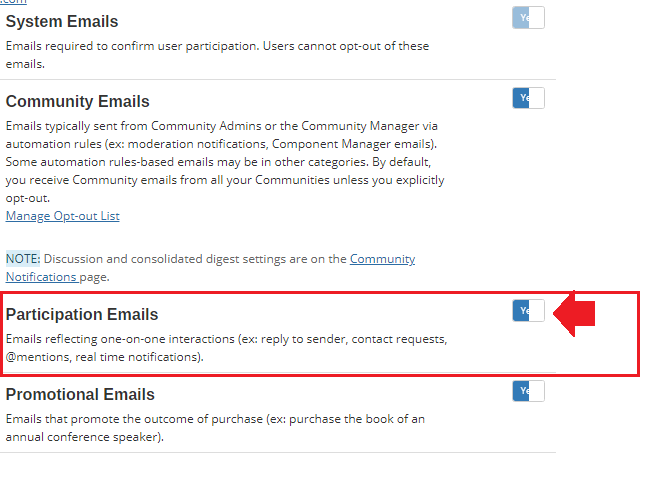 Simply go to your profile page and navigate to My Settings> Email Preferences and toggle ‘Participation’ to NO. The functionality to be auto-subscribed for reply notifications on threads you created or made a reply will only apply to posts made after this new feature was released (December 7 2018). However, you can go back and star past threads or discussions to start receiving notifications on any new replies. To make it easier for users to reply to threads online, you now can make a reply within the discussion thread page to allow you to reference all the replies made when creating your post. The ‘Reply Inline’ option is a quick reply option with streamlined formatting options; however, you can click on the ‘Reply with Advanced Editor’ link if you want to use more formatting options (add an image, etc.) in your post. You will still be able to use the REPLY TO DISCUSSION option to reply to discussion posts online, which still has all the usual reply formatting features. This will take you to the standard reply to discussion page with all the formatting options that you are used to having on our forums. Ever found yourself writing a post and got pulled away? You can now press ‘Save as Draft’ if you need more time to finish before you post your new thread or reply to the community. When you save a post as a draft, you will see a notification confirmation on the discussion page of where to find your draft. 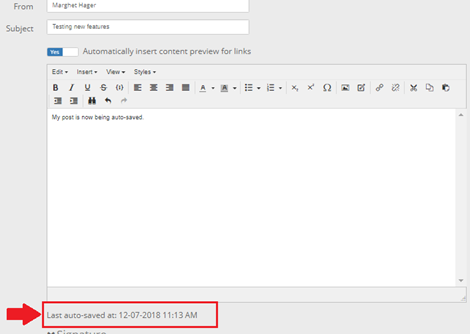 In addition, when you start typing a new thread or reply, your post will now be ‘auto-saved’ at a frequent interval so you can continue your post in case of the occasional computer or internet issues. To find your drafts so you can continue your post, go to your Profile page and click on My Contributions>List of Contributions. There is a filter that will allow you to sort by your draft posts. Simply click on the option to continue your post or click delete to remove it. To help us address any issues as fast as possible, please create a support ticket if you are having any questions or feedback on these new features. We hope you enjoy these new features on www.navug.com!